As I had probably mentioned before, my library generally celebrates the many cultures in the community. Granted there are so many of them that we can't do all of them. 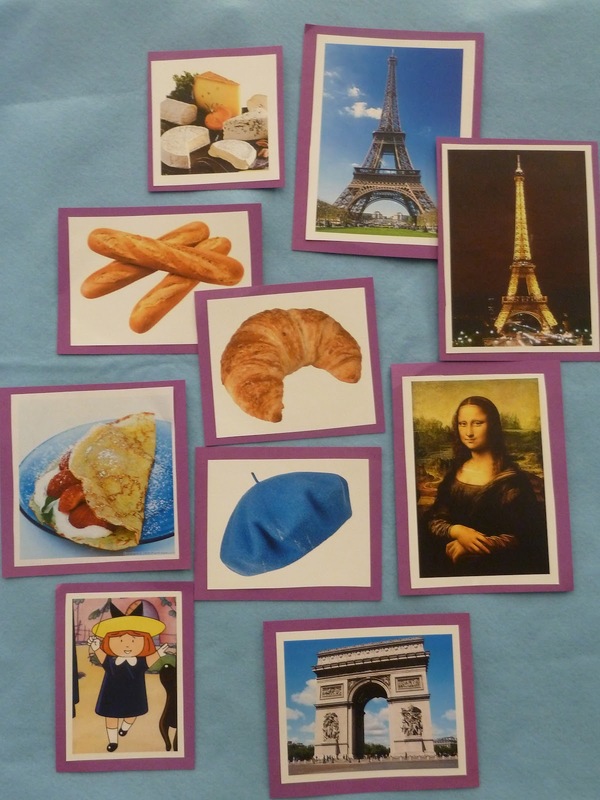 Last year, when doing a Hispanic Heritage storytime, I decided that it was time do a culture and language that I do know... French! I don't claim to the fact that I can pronounce French words perfectly or can speak fluently, but I can speak French considerably better than Spanish. I didn't know what reaction to expect from the children and parents. Isn't it always the truth when you, the Children's Librarian, that you are super excited about a storytime theme and everyone else is lack luster? Well.... I'm sad to say that it was a little like that this morning. :: sigh :: Oh, well. I get props for trying! Right? I used bonjour about half the time it came up in the book. The rest of the time I said hello. Whichever language I used, I still waved hello. This is a great book with nice pictures of Paris in it. I didn't read the text word for word as I wanted the toddlers, which varied in age, to pay attention to the pictures mostly. I read this little story with a mouse finger puppet. I grew up reading this book thus I wanted to read it for the preschool kids. They liked it and were happy to respond to the question what they would do if they found a lion walking down the street. How can you not include Madeline in the line up of French stories? I actually got a soft laugh from the parents when, in the story, all the school girls were crying because they wanted their appendix out too. I had the children help describe where Suzette was (park, a fair, and etc.) and who she was serving a crepe to. The children did it a little, but lost interest after awhile. The toddlers got restless easily today so we played with the egg shakers. They loved it! 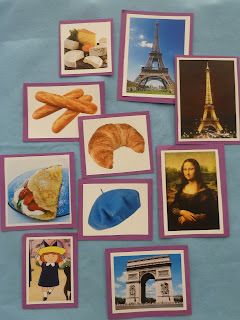 I printed out photos of things from France like the Eiffel Tower, baguettes, croissants, stinky cheese (emphasize stinky), berets, the Mona Lisa and so on. 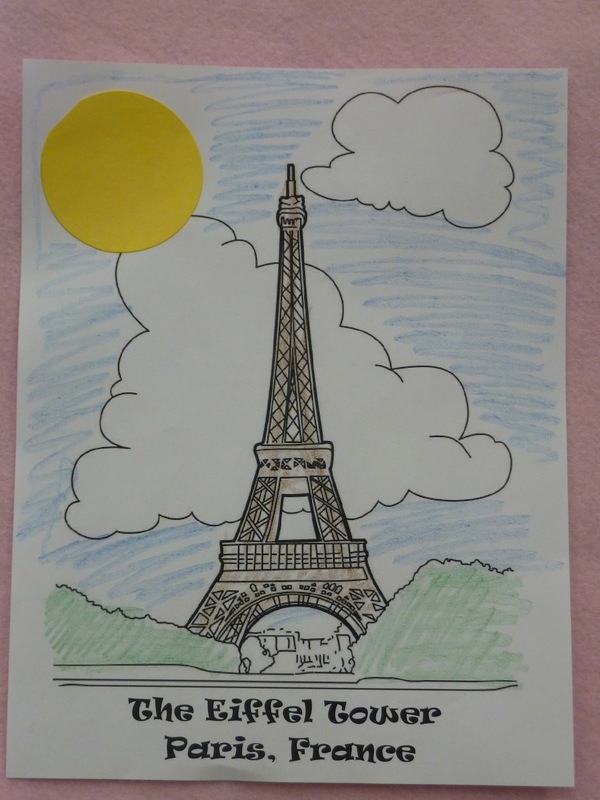 The Toddlers got a coloring sheet showing the Eiffel Tower. They to color and scribble to their hearts content, but they also got to clue a yellow circle in the sky to make it a sun-shinny day. Simple and very cute. One fun thing to do in Paris is to have a picnic in the park under the shadow of the Eiffel Tower. 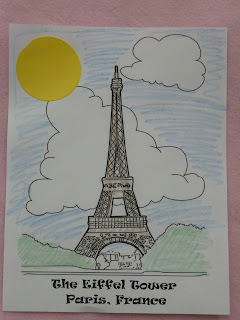 The Preschool children got to color and create their picnic spread. This was an opportunity for them to also practice cutting out their food (generally I pre-cut everything) with the safety scissors. They all enjoyed it. I didn't have time to read this book during the Preschool Storytime and which I did have time!!! Ack! This is a great rhyming book that includes French phrases (and their pronunciation on the same page) to tell the story. The first day of Spring is March 20. Thus it was a perfect time to do a spring themed storytime on the 19th! The children had lots of fun at both programs. The Toddlers, especially, in enjoyed the books the rhymes. The Activity was a lot of fun for the kids. Children will jump at any chance to put or take something from the flannel board! There are so many different ways to do a spring storytime ranging from flowers to bugs to rain. I did a little mixture of everything. I'm already thinking of what I would like to do in 2013, especially in flannel board activities. This is a great book! It was just the right length and amount of text. Plus, it had colors and a very colorful butterfly. The children loved the pop-up at the end! This may not necessarily be a Spring book, but Tippy Toes does go to the garden and there even fireflies. It gives the feel of spring to me. Plus, the toddlers loved the kitty cat. I used the library's Big Book version, which was an awesome choice for the toddlers cause then they could really see the flowers that grow. Ask the children if they know what bears do during the winter (hibernation) and what happens when they wake up in the spring. This is such a fun book. It always reminds me of Winnie the Pooh when he eats too much honey and gets stuck in Rabbit's front door. Another not-so-spring-y book, but it's fun! I tied it in saying that when it becomes Spring you get so excited that the flowers are growing and it's getting warm that you just want to start singing you're so happy! This is a story about a chick that begins to sing. This was a pleasant book. I tied it in by saying that when the flowers start to grow that you should say "good morning," "good night," or "hello" to the flowers because they actually like being talked to. Five Little Flowers (T, P) - I didn't get to do this rhyme, but it's a good one to have on hand! The Itsy Bitsy Spider (T) - I didnt' do this rhyme, but I had it as a "just in case" for the Toddler Storytime. Even though I didn't end up doing this rhyme during the two programs, I did prep a quick flannel board for it. 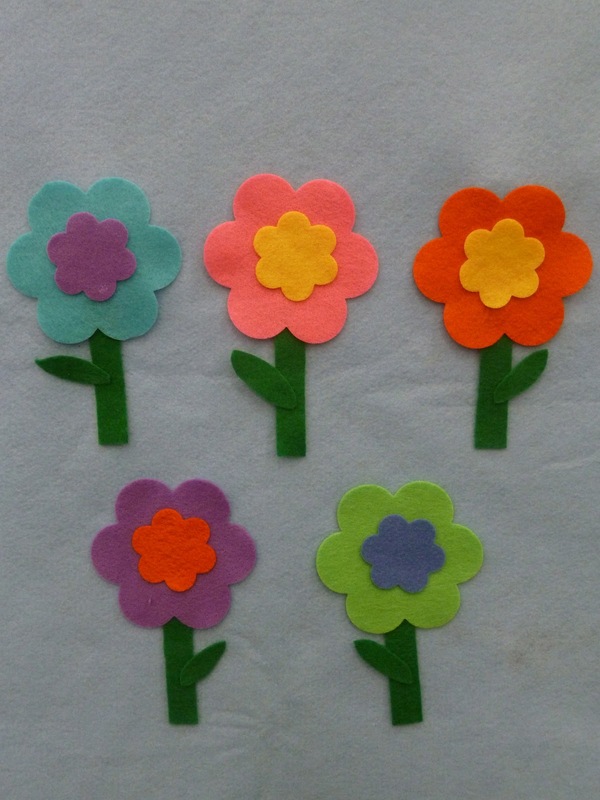 My library owns a flower die cut that allows you to cultivate very colorful flowers quickly. Bugs come out in the springtime, including Ladybugs. I handed out black spots that were the size of a quarter. Then I showed a large ladybug that had four spots, and ask if the spots looked familiar to something they have in their hands. There must be so many spots that they're meant for a really big.. ladybug! 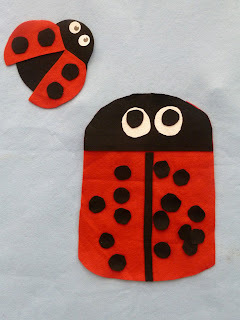 The children had to put their spots on the the ladybug. Afterwards they got to count how many spots it had total. 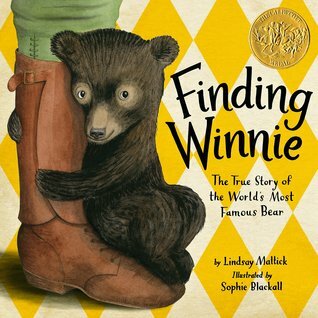 This is a ::PERFECT:: book for Toddler Storytime. Next time I'm going to make double sure that I have it in time for the next spring themed storytime! I managed to squeak in a St. Patrick's Day and the color Green storytime theme this year. This holiday, as with a lot of holidays with the exception of Halloween and Thanksgiving, are hard to do without repeating all the read-able books and songs and rhymes. This is was a great success and I'm already planning next year's (look out for rainbow colors!)! This week is Spring Break for our ISD, and I got a good number of new little faces to meet, which was a lot of fun too! We have this as a special storytime-use-only book to read because it's a pop-up book extraordinaire! A great simple book that includes the hunt for a four leaf clover. One little girl asked, "How does a frog get into space????". What a good question! This will tell you how! This is one of the very, veerrrrry, few St. Patrick's Day books that exists and can be read in storytime! Thank you Eve Bunting! 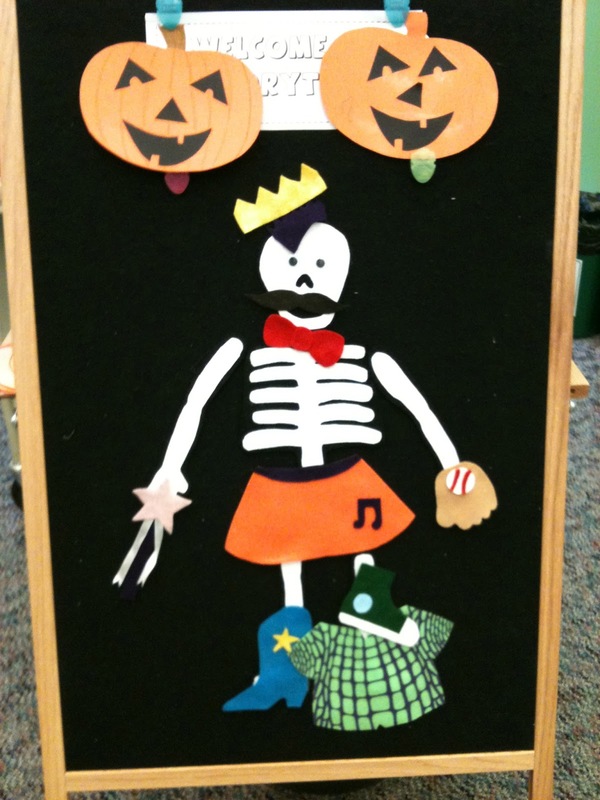 This was one of the first few flannel boards that I created in my beginning year as a Children's Librarian. It was nice to roll the log out and set some frogs on there. A simple flannel board for the rhyme. Five shamrocks made with a die cut. I did make more so that I could easily repeat the rhyme a few times so that each child had the opportunity to come up to the board at least once to pick a shamrock off the board. To tie into the green portion of the programs I asked the kids what was green. They named things like grass, trees, plants, flowers, my storytime wall (yes, one of them is a wonderful shade of green). Inspired by Mel at Mel's Desk (who did this for a July 4th theme, which is an awesome idea, and had mentioned St. Patrick's Day at the end of the post) I used my die cut roller to make animals and other things (such as a Christmas Tree) out of green felt! The kids loved shouting out their guesses! The Toddlers got to take a shamrock, created by my handy-dandy die cut machine, and paste it into a sheet of paper. They then were allowed to tear up a lighter green color paper and glue the bits onto their shamrock. Crayons, as always, were available to decorate their paper to their hearts content. I saw their coloring as abstract rainbows to tie into this theme. What is one of the most adorable animals in the world? Don't know? Another hint... it's says "baaaaaa!". Sheep and lambs, that's what! I love them (can't you tell?)! The children were a little sleepy, but they still liked the program! As I've said before, I love this book! Any of Shaw's books would do, but this is the most fun! 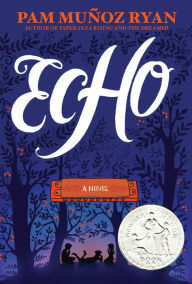 This was a fun read, especially if you get into the voices of the characters and make it as dramatic as you possibly can! Poor Russell can't sleep. As one little girl said, "He needs to count to ten" to go to sleep! So cute and good to express individuality. One mom related to me about she raised sheep as a young girl and a flock of sheep that could jump fences! Five White and Fluffy Sheep (T, P) - I only did this for the preschoolers this time around. Five Little Sheep (P) - I didn't get to do this one, but it's a cute one! This was a fun rhyme and it was the perfect opportunity to create a equally as fun flannel board. I made sheep that were wooly on one side and wool-less but wearing a snazzy sweater instead. I would have use the wooly side of the sheep that I created for the Five White and Fluffy Sheep rhyme. The toddlers got to paste a picture of a lamb to a bigger sheet of paper then put on fluffy cotton balls onto its body. Super simple and allows them to glue and color! I found this craft playing online and it's super cute! I made my example and discovered that it was big enough for me to wear as a bracelet... light bulb goes off! I didn't have enough cotton balls to do exactly like the one I found. So! 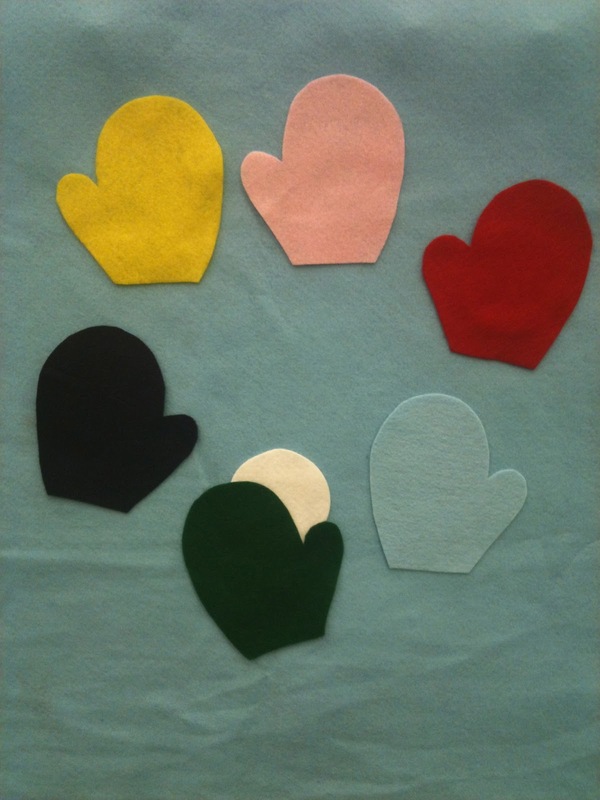 Instead I made a heart shape to use as the feet and made another heart and cut it in half to make the ears. The cotton balls we did use we used to make the wooly head. Googly eyes added a fun element to it all too! Source: Free Kids Crafts.com. My Halloween storytime was actually on Halloween! The children were invited to come dressed up. If one didn't have a costume I offered them to wear one of my foam princess crowns or bunny years from my professional collection. The books could have been more stellar (or perhaps I needed more interested from the kids? ), but the songs, rhymes and activities was the funnest part! This is a perfect book for storytime! I had the great fortune to find a pack of Halloween finger puppets that included a bat that looked exactly like the bat in the story! I read the book with the finger puppet on my finger! I thought that this book would be good for the program, but the children weren't as interested as I was hoping they would me. It's still a great book for reading with a kid though! This is a fun book, especially if you're familiar with Valentine Surprise. For the song I made our characters! Even thought the witch is ugly (how appropriate, right?) I'm still impressed that I managed to make it! I liked the, ghost, the bat and the monster the most! The toddlers got to glue on a faces onto a pumpkin shape. It was simple and lots of fun. 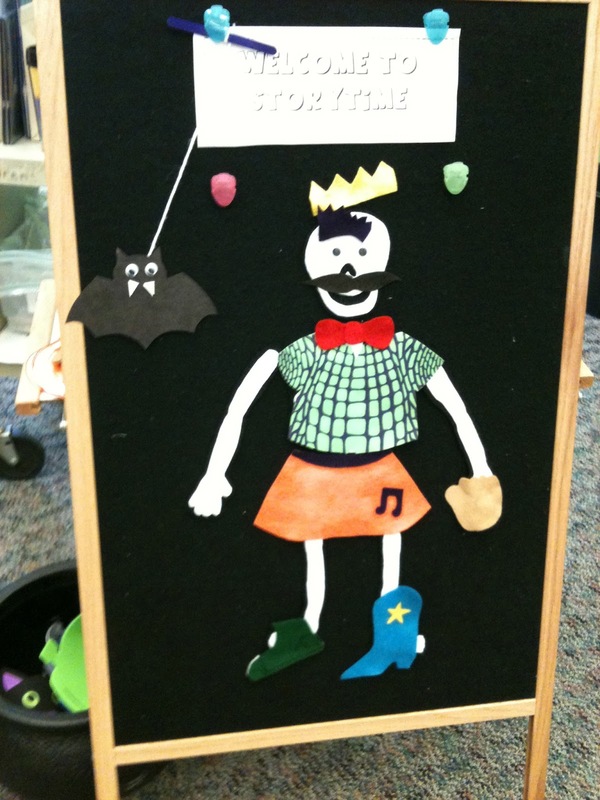 The preschoolers took their bat shape, made from construction paper and glue on googly eyes and foam teeth. They then taped a length of yarn to the back and tied it to a craft stick. If you moved the stick around it made the bat flitter-flutter and fly! To make a skeleton I found a cartoon template online and blue it up a bit to make him about 18inches in height. His arms, skull, rib cage, and legs are separate pieces, which allowed me more freedom if I ever needed to have more fun. To make it exciting for the children I made clothes and accessories for them to put on him. By the way, I named him Sal. There are so many pictures from this program! There is suppose to be a poodle skirt, but it went missing! Finger puppets perfect for Pumpkin, Pumpkin What Do You See? For the first part, I turned the Jack'O Lantern puppet around to be a regular pumpkin. I made the Wolf and Owl puppet, obviously. (it has a ring in the back for wear)! Who was I? The cat from If You Give a Cat a Cupcake! To go alone with the Jump and Move storytime I also did a Noisy Storytime! I must say that the book choices for this theme are all on my favorite list. The children and parents got a kick out of this program too! I love this book with it's fun little twist at the end. 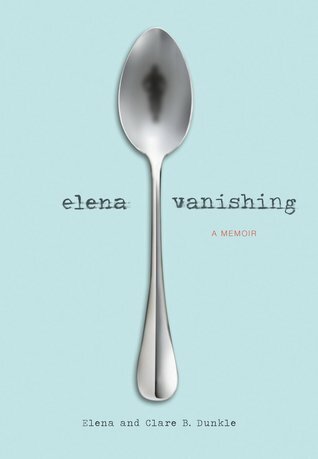 One mom had never read this book before and became a fan of it after its reading. The suspense in this book wast. I wish more of the children were into it as much as I was. The children loved howling like Katie during this reading. Another favorite of mine! The children loved it too! For the reading of the this book I let the toddlers put their matching animal picture on the flannel board. Everyone loved it. Do you have to guess what we did with this? We made it noisy, noisy, NOISY in the storytime room. But we also made it quiet... then noisy again! A.K.A toilet paper empanadas! Everyone got a toilet paper tube to color and decorate. One they were ready we stapled on end shut, filled with dry cereal and one jingle bell, then stapled the other end shut. It was super easy, fun and noisy! This was fun theme to present to the children. The books were great and the flannel board was awesome! I ::LOVE:: this book! Any chance to tie into a program theme I will read it! The toddlers liked the pictures in this book, especially they unfolded and made the book really long! I saw a Children's Librarian read this book back when I was a Library Assistant years and years ago and ever since I had wanted to read the book in my own storytime. Finally I have! This is such a fun book! I love the ending as did the kids! The parents thought that this was a funny book! I saw the flannel boards for this on both Mel's Desk and Storytime Katie's blogs and fell in love. The pigs are adorable! So, obviously I had to make some for myself. The rhyme was a a huge hit! 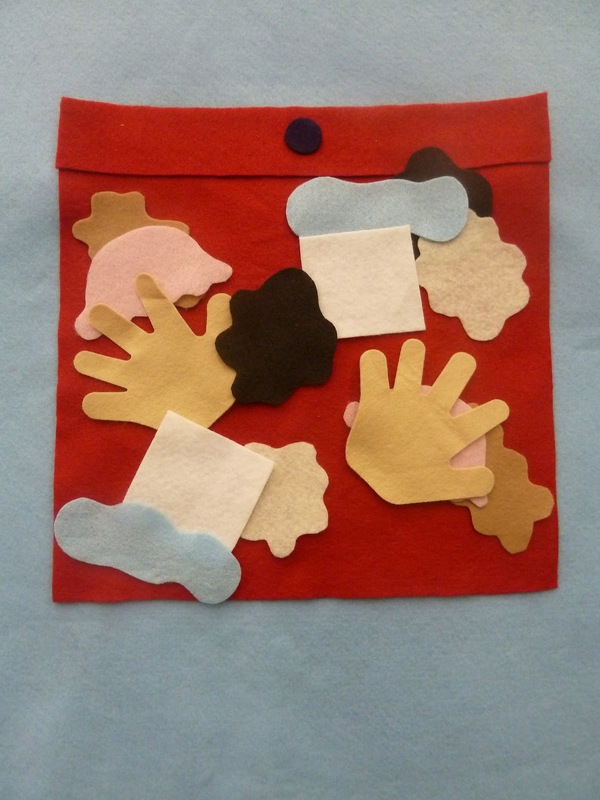 Inspired by our flannel board, the toddlers got to make a craft that hand on clean pig and one dirty pig. A lot of the children actually understood the concept! This craft was based off of Jonas' book. The children had to glue random shapes made from white construction paper on to a sheet of black construction paper. I had made a funny looking boat on a lake. Some of the resulting pictures were cars, rockets, and balloons. It was fun to see the imagination flowing in the artwork! We all got to play with the egg shakers. We shook them really hard and fast to make it loud. Then we shook them slow and soft to make it quiet. We shook toward the sky and down by the ground as well as in front of us and behind us. Egg shakers are always a lot of fun! 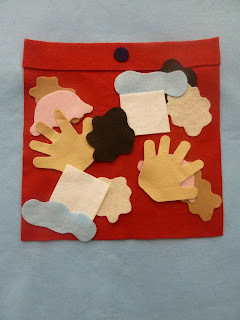 Just as with the What's in a Box storytime theme, I had always wanted to do a storytime about pockets. I must say it was harder to plan this one than the box theme, but it all turned out quite well! The rhymes and flannel boards was the glue for everything, plus they were super fun! This was actually for our flannel board fun! OK, so this isn't really about pockets, but you can't go wrong with Dr. Seuss... though I did need just a little more practice on some of those tongue twisters! In My Pockets (T, P) - I didn't get a chance to do this one but perhaps next time and even as a flannel board! Based off of Beatrice Schenk de Regmiers' book, I created a giant pocket and a large number of everything that ends up in the pocket. I read the book and every time something new was added, the children with the corressponding shape got to go up to the board and put into the pocket. It was loads of fun! I need to make my own copy of this flannel board guessing game. The children on both programs loved it! This was a really simple craft. I cut out pocket shapes from construction paper. 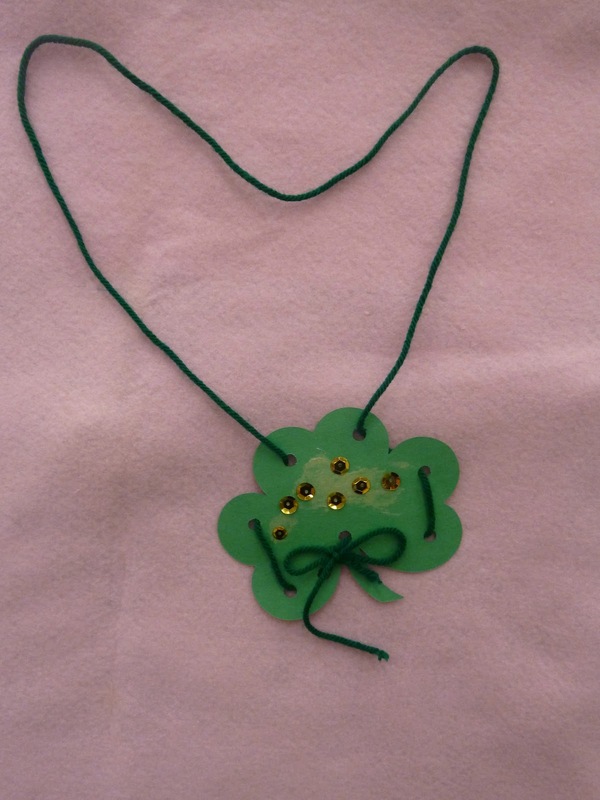 The children, with the help from me and their guardian, they got to staple their pocket shut and add string to it so that it turned into a necklace. I gave them a fat pencil and a bookmark for them to put in their pockets. Look what the toddlers and preschoolers put in the pocket! Whoooo likes owls? Everyone! It's a great theme for anytime of year, but it was really nice during the fall harvest season. For my Preschool Storytime I brought a Folkmanis owl puppet for the children to see before the program started (I didn't do with the Toddlers cause it's quite dark and scary looking). The kids loved it! They even started feeding the owl pretend dead mice! It's great! I love this book and it's use of colors! We looked at the pictures. Yes, he is! A little girl in Preschool Storytime said that he was scared and that he was a liar!!!! Oh my gosh! I had to catch my breath from laughing and agreeing with her so that I could finish the story! So cute! The parents liked it too! I ::loved:: the owls that Leah of Sunflower Storytime and Katie of Storytime Katie made for this rhyme. Sooo, I had to make some for myself! For this craft I just printed a picture of an owl that the toddlers could color as well as paste a letter O onto the tummy. Everything was then glued onto a piece of construction paper. This was a great way to use some of the toilet paper tubes piling up in the supply closet. Bend down the middle on one end to make the ears. Add some wings (a heart cut in half), a beak, googly eyes and some feathers to finish off this cute owl! In 2011, when I did this storytime, it was actually cold outside! It was perfect! Side note, in 2010 when I did a similar theme it was 70-80 degrees. Not as a much fun! The children had a great time at this program. My favorite part was doing the song "The Mitten in the Snow" because of the flannel board I created. One of the library's newer books. I love the illustrations! Having fun in the snow and getting frozen noses! Oh, Minerva Louise, I love you! The parents liked this one too! I loved this rhyming story. Who doesn't like dancing in the snow (or the rain!)? This is always a crowd-pleaser. The children had fun guessing what he had forgotten to put on. The snow is coming! I love this book from the words to the illustrations! It was a lot of fun to get all those animals "into" the mitten. When it came to when the animals flying out I just pulled the full mitten away from the board (the animals stayed put ... ah, the power of felt!) and I shook it! The animals really did go flying! I made lots and lots of construction mittens with the die cut machine. The children glued them onto onto another sheet of construction paper and had to decorate them with cotton balls and crayons. This was inspired by our activity. Each child got a pair of mittens, a length of yarn (remember the old days when your mittens were like that? ), a snowball and some glitter glue! On a piece of construction paper, the had put the snow then cover it with one of the mittens. The mittens were only glued on at the bottom so that they could be flappy. Then they decorated to their hearts content with the glitter glue, a rare treat! Once it was done the children could ask someone behind which mitten the snowball was. All you had to do was pull down the flap to find out! This was inspired by Anne from So Tomorrow. The children had to guess which mitten a couple of snowballs were hiding behind. It was a huge hit, especially with the preschool children. Sometimes someone would find one by accident, but that made it fun for the parents and let us all laugh in silliness! We said this rhyme a couple before we got caught up in the fun! 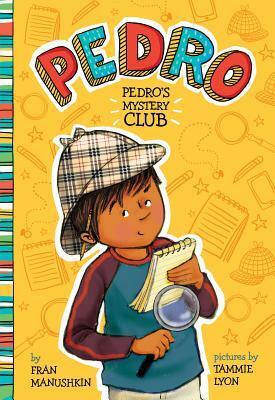 I discovered this book after the storytime and wish that I had it for the Toddler Storytime. Next time I will use it! It's so cute! You always have wigglers in your storytime. No matter what. This is the perfect storytime for those little ones! This is also just a plain good theme to have for any day, especially those ones when you need to get up and move or else you turn into real slugs! This book is adorable! Some moms actually began to cuddle their toddler during this story. The kids really liked matching the actions of the animals found in this book! Why jump and hop when you can dance?! My library owns a die cut that is in the shape of a butterfly and includes a band cut in the midsection that is meant for a little finger to slip into to use it as a puppet. If you don't have one then find any butterfly shape, cut it out, and temporarily fold in half (without creasing it) and make two cuts horizontal to the tummy. When you lie the butterfly flat it has that ring band affect for the finger to slip into it. You can also crease the wings a little give them more flight, but I didn't on mine. The toddlers loved them! 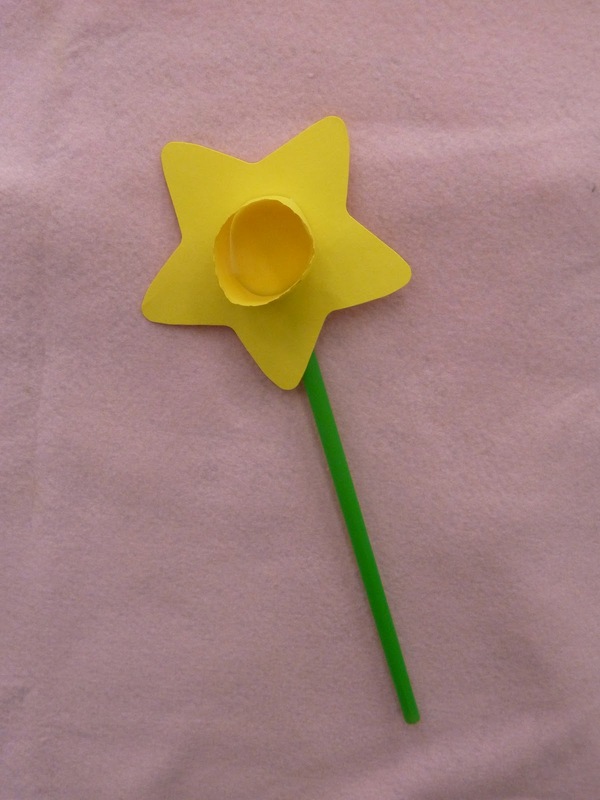 To keep with the theme of movement, all the preschoolers got to make cup catcher. One end of a string was taped to the inside of the cup and the other end was tied around a fluffy pompom. Children had to jerk the cup to send the pompom flying and they had to try to catch in the cup. It was an AWESOME craft and everyone loved it! I cut out a red, yellow, and green circle to make the "traffic light" image. I also used our die cutter to make letters that spelled out "stop," "slow," and "go" in the corresponding felt color. Once all of that the flannel board, we breifly talked about the meaning of the colors. Then we walked, ran, and stood in place pending the speed (fast, slow, stop) that I shouted. Everyone loved it! I'm going to go along with to people from my Preschool Storytime to describe how this program theme went... from one boy it was "Awesome!" and from a guardian it was "fun!". Granted the toddlers didn't quite grab the concept of imagination! But they can recognize the animals and other things from the illustrations in the books to make it fun. The preschoolers loved the theme, especially once I pulled out Antoinette Portis' books! This was a great book for the toddlers, and even preschoolers, for shape recognition. This was a fun book. I shortened the reading for this one because the toddlers were really active. Imagination at its fullest in this rhyming book. You have to imagine that pigs can be clean, purple, and can fly around the world! Because Not A Box was such a success this was my fourth and last book I did in the program. The children loved it and created a lot of "awesomes" from one little boy! I was unable to borrow It Looked Like Spilt Milk flannel board from another library in time. So! 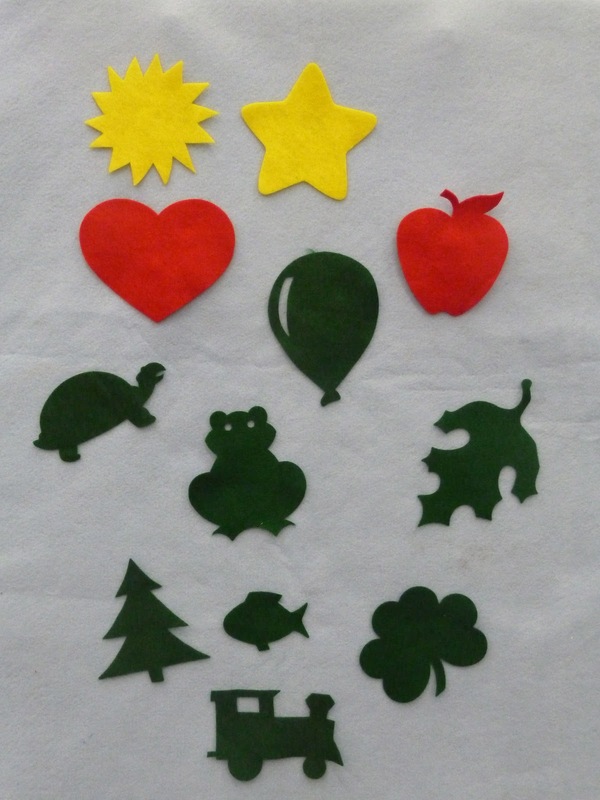 Instead I took my white felt and use the die cuts to create different shapes (cow, train engine, turtle, spider, and etc.) that allowed the toddlers to put on the board. Inspired by Anotinette Portis' books I cranked out die cut circles out of colorful construction paper. The children then had the opporuntity to glue their circle onto a sheet of paper, which I had printed "My circle is a..." on, and they had to imagine their circle as something other than a circle! One girl made her circle into a portrait of Hello Kitty. A boy made his into a baseball and drew a bat to hit it with. The preschoolers had the most imagination as my toddlers are actually quite young. We just viewed the craft as a practice in dexterity and fine motor skills! I had the opportunity to host a special storytime for a visiting group of four year olds today. At the day school the children were learning about Dr. Seuss as his birthday is on Friday, March 2, and so, obviously, I would do a Dr. Seuss storytime! It's the first one I've ever done, so I was excited in trying it out! And... It was AWESOME!!! !The children were super excited and loved every bit of it. Even the teacher asked for a copy of the Cat in the Hat Fingerplay! My library owns a big book version of this that I'm in love with! Love the participation from the audience! A fun story and the kids loved connection activity for this, as did their teacher! OK, I didn't do this one this time around, but I had it ready in case I needed a backup song! I used my felt apple shapes from a previous storytime for this activity. Each child got one apple to put on their heads. We, then, had to do some things that were from the list of the Cat Tricks before we really got our movement on like jumping up and down on both feet, jumping up and down on one foot, turn around three times, squat down to touch the floor and so on. All the while we had to make sure that the apple didn't fall off our heads. This was inspired by the book Ten Apples on Top, obviously, and it was a huge hit with the kids, parents and the teacher! My fellow Children's Librarian and I created a visual scavenger hunt for the children to do. We took images from the books, such as the Cat in the Hat, the Lorax, the fishes from One Fish, Two Fish, Red Fish, Blue Fish, and etc. Everyone got a form that had the images on it and had to find the the place cards we had posted around the children's area like our Storytime Door, Children's Desk and Dr. Seuss display.